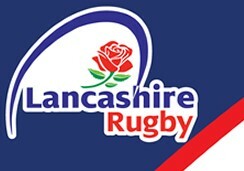 Harry and Ben Lewis were both selected in the Cheshire Under 20s squad to face Yorkshire recently. The true story of the Millar-Mills sisters - Harriet and Bridget, from Manchester M&Js to Manchester Ladies to International honours. Great way to keep fit, have fun and play some Rugby! Please remember that it's a 1;30pm KO on Saturday when Douglas fly in. Please note that Saturday's match will kick off at 1:30pm to accommodate our visitors travel arrangements. The fixtures for our First XV, Ladies, 2nd XV, 3rd XV and MAKOS Colts are all on the website now. The club's fixtures for next season in North One West and Championship North Two are now on the website. Manchester have been drawn away to Rochdale in the Lancashire Senior Cup, matches to be played on the August Bank Holiday Weekend. Following the success of last year's race night, the cricket section are running another one this year on 7th July starting at 7.30pm. We are now able to offer Rugby Members a one-off temporary membership of Grove Park Squash for only £10 until September 1st. Over the past few months members have not been presenting their cards, rather simply telling the staff the number which has presented a few issues. ...as our new Skills/Attack Coach for 2018/19! The club rugby season may well be over but there's plenty of international rugby to watch live in the clubhouse. Nearly finished. ..join us for the final on Sunday afternoon, KO 4pm. There will be three working parties this summer - it's your club and we really need your help! Thanks to Steph Lewis for bringing the success of our Senior Colts partnership with Stockport RUFC to the attention of a wider audience. Next season's fixtures are now available and sees us kicking off with an away trip to Firwood Waterloo on Saturday 1st September 2018. Entries are now invited for this year's MRC Mini & Midi Festival. There were some outstanding and achievements to celebrate at the End of Season Club Dinner. Please note the arrangements for the funeral to take place on Tuesday 29th May at St Anne's, Torrington at 2:00pm, with the wake at Sedgeley Park RFC. Touch Rugby is back in Wednesday evenings! So now you have the choice of 'Walking Rugby' or Touch Rugby as part of your summer fitness drive. Ex-MRC and M&J player Luke James has been named in England U20s side to face the Junior Springboks on Friday at Worcester’s Sixways Stadium. England head coach Eddie Jones has named ex-MRC M&J Ben Spencer in a 34-man squad to tour South Africa for a three-Test series in June. Congratulations to ex-MRC & M&J player Luke James on being awarded 'Young Player of the Season' at the end of season awards. Documents which were presented by the Chair of Rugby at the recent AGM can be accessed below. A training session by Sara Harris from the North West Ambulance Service has been arranged at the club from 7:30pm. All returning, new and potential players are invited to a meeting when the coaching structure and ambitions for 2018/19 will be presented . Watch the Royal Wedding (with Afternoon Tea and Prosecco) and stay for the FA Cup Final and enjoy hot meat barmcakes and curry!